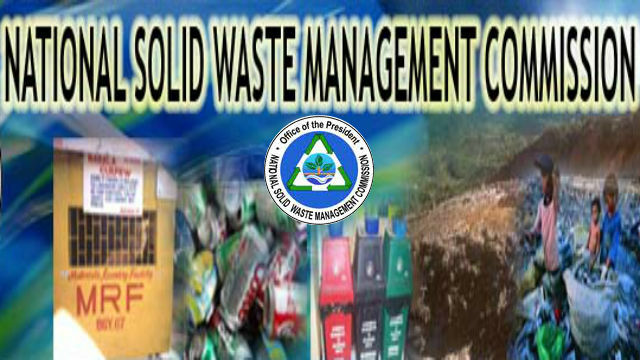 BAGUIO CITY – A local legislator wants the National Solid Waste Management Commission (NSWMC) to release or make available the list of non-environmentally acceptable products of packaging (NEAP) and to include in the list all single-use plastic products, easily destroyed plastic toys and plastic tools with easily detached or easily lost parts. In his proposed resolution, Councilor Peter Fianza claimed as an understood in consultations conducted by the various local governments in the passage of their respective plastic regulation or prohibition ordinances, single use plastic products include plastic water bottles made polyethylene terephthalate (PET), hard plastic bottles used for shampoo or milk made with high density polyethylene (HDPE), grocery bags and food packaging made with HDPE, plastic cutlery made with polystyrene (PS) and plastic drinking straws and stirrers made of polypropylene (PP), PS, and other materials. Further, the resolution noted that in the United Nations (UN) report, about half of all of the plastic waste that ends up in the oceans come from just five countries: China, Indonesia, Philippines, Thailand and Vietnam. The resolution pointed out a NEAP list will be of most help to local governments, especially those which may still find need to localize the regulation or prohibition, in coordination with the NSWMC for the conduct of proper consultations and hearings with the stakeholders or with the sectors concerned in the determination of the phase-out period on the use of non-environmentally acceptable packaging or products as directed under Section 30 of Republic Act (RA) 9003 or the Ecological Solid Waste Management Act. The resolution stipulated that with plastic being the bulk of residual municipal waste, more than 100 local government units have already passed ordinances prohibiting or regulating the use of plastic. The implementations, however, have been continuous with opposition leaning on plastic not being in the list of NEAP on the required NSWMC findings of available alternatives which are available to consumers at no more than 10 percent greater cost than the disposable products as provided in the provisions of RA 9003. According to the resolution, on the note that initiatives of local governments will have to be assisted, a proposal to regulate the use of plastic bags was introduced in the 15th Congress but it did not pass into a law. A similar version denominated as the “Plastic Bag Regulation Act” was again filed for consideration in the 16th Congress but also unfortunately failed approval. The resolution emphasized that more alarming from the UN report is the findings that while reprocessing these materials have continuously been encouraged, only 9 percent of all plastic waste ever produced has been recycled. Moreover, the UN report disclosed that 300 million tons of plastic waste is produced very year and half of all plastic produced is designed to be used only once and thrown away.